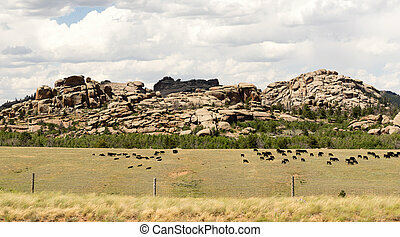 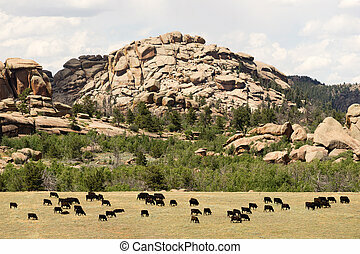 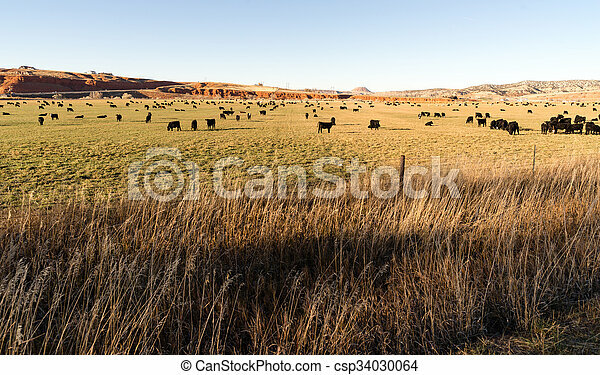 Black angus cattle graze large ranch wyoming domestic animal. 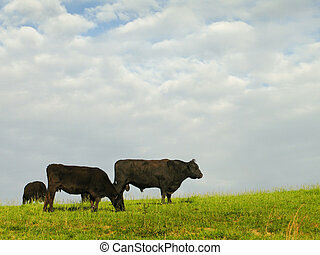 It's a perfect grazing spot for these black angus cattle. 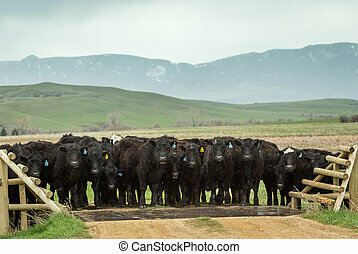 Black angus cattle stand at a cattle guard. 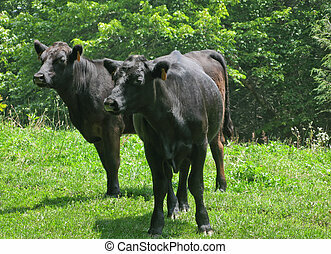 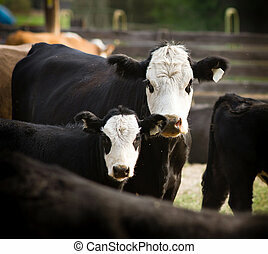 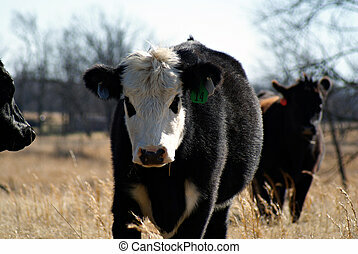 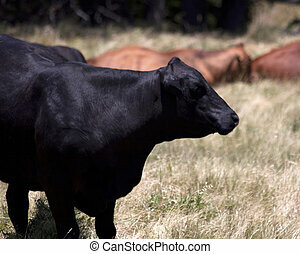 Two free range Black Angus cattle standing in a field. 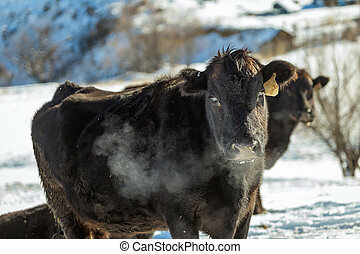 A black angus cow on a winter day. 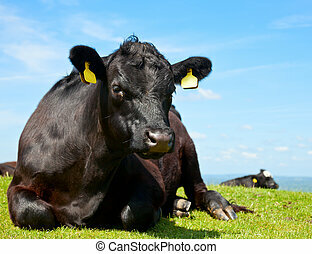 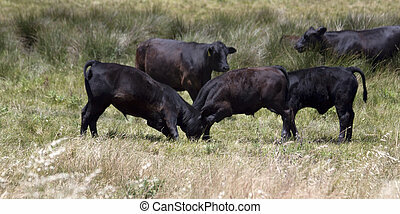 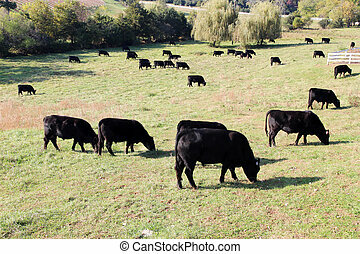 Black Angus Beef Cattle grazing on an open field. 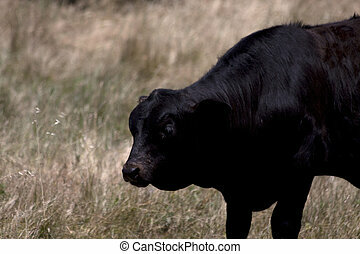 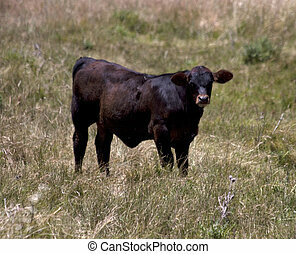 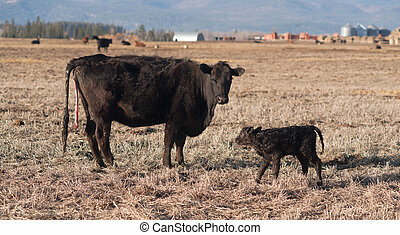 Black Angus Calf in a meadow. 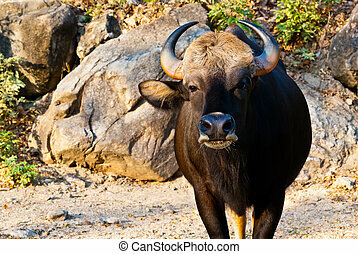 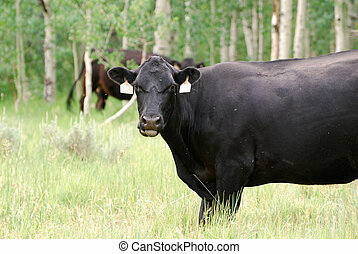 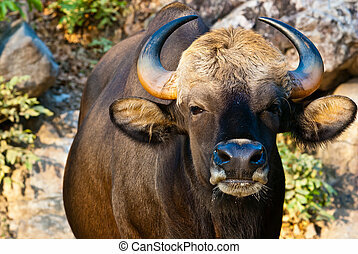 Large black cow grazing in tall green grass in the mountains. 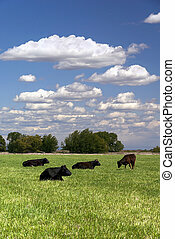 Ranch cattle rest and graze on Spring pasture with white cloudscape behind.